Here’s the last part of the November Lark Notes, the third part of an essay called The Schumanns, Symphonies, and Brahms. Part I here; Part II here. Buy tickets to the Minnesota Orchestra Musicians’ show here. It took many years, and many pieces, for Brahms to come to term with the Schumann prophecy. His first piano concerto, dating from 1859, was his first large-scale work featuring an orchestra. Portions of it had come from the sonata for two pianos in d-minor. Many historians have noted that the initial theme of the first movement bears a resemblance to a fall: Schumann’s leap into the Rhine, perhaps? He admitted openly to Clara that the glowing second movement was a portrait of her. As for the last movement, he was so conflicted about what to do, he unabashedly copied the form of Beethoven’s third piano concerto. When he finally got around to writing his first published work for orchestra alone, he tried calling the piece a symphony, but couldn’t bring himself to do it. So he hedged his bets: he labeled the D-major serenade a “Symphony-Serenade.” But he soon realized he was kidding himself, and he so he scratched out the word Symphony entirely. He wrote to Joachim: “I had such a beautiful, big conception of my first symphony, and now! – ” The dash said it all. In 1862, she received a packet of music from Brahms: “imagine the surprise!” she wrote Joachim, “the first movement of a symphony.” It was indeed. Unfortunately, she’d have to wait over a decade for the music to be finished and performed. Once again, Brahms had gotten stuck. He began to look like a horse in quicksand. Here’s the second part of the November Lark Notes, an essay called The Schumanns, Symphonies, and Brahms. If you want to see a Brahms symphony in the flesh, buy tickets to the Minnesota Orchestra Musicians’ concert here. Part I is here. In 1850 Robert Schumann had accepted a music directorship in Düsseldorf. His time there was unfulfilling. Bluntly, he wasn’t suited for the job. Worse, ill health led him to become increasingly withdrawn. In rehearsals with the local chorus, Clara provided piano accompaniment and made suggestions to the singers when Robert was uncommunicative. Although Clara didn’t – or couldn’t – acknowledge it, his career was in decline. Robert, his energy waning, saw Brahms as someone who could take up his cause and bring it further: a Joshua to his Moses. Accordingly, both Schumanns immediately began encouraging Johannes to write on a larger scale. In his famous article, Robert wrote, “If he will sink his magic staff in the region where the capacity of masses in chorus and orchestra can lend him its powers, still more wonderful glimpses into the mysteries of the spirit-world will be before us…” In her journal Clara wrote, “A great future lies before him, for when he comes to the point of writing for orchestra, then he will have found the true medium for his imagination.” There was something to that assessment. The piano works that Johannes had played for the Schumanns were big and bold, and it was tempting to imagine what such genius might produce for orchestra. Maybe given time and health, Robert could have helped Brahms give voice to a symphony. But Robert had neither time nor health. On 27 February 1854, while Clara was consulting with a doctor, Robert slipped away and jumped into the Rhine. He was saved by fishermen. Clara only caught a glimpse of him before he was taken to an asylum. The next time she’d see him would be two years later on his deathbed. Once upon a time, in the halcyon days before September 2012, I thought of myself more as a historian and wannabe musicologist than as a commentator on never-ending orchestral lockouts. Well, it’s been a year, but my heart’s still in the whole history thing. I’ve ignored it and I’ve missed it. I’m not giving up analysis of orchestral politics – by any means – but I do want to try to shoehorn some history onto the blog. 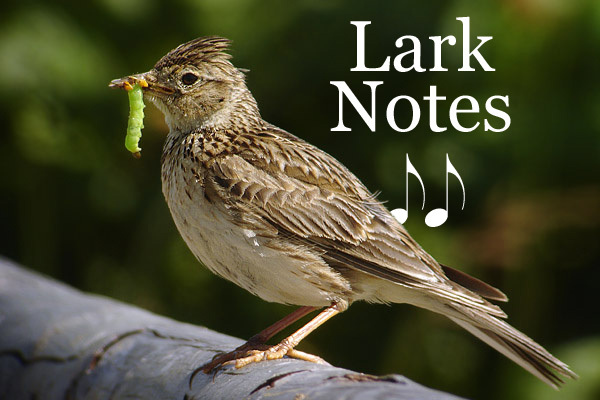 So what are Lark Notes? Great question. I’m not even 100% sure yet. (Let’s hear it for flying by the seat of your pants!! Woohoo!) I do know that the Notes will be my exploration of a particular musical topic, and that exploration might come in the form of essays, Youtube videos, interviews…who knows! We’ll have to see how the Notes evolve as time goes by. For the foreseeable future, they’ll likely tie into the programs of the Musicians of the Minnesota Orchestra.